OP is a next generation smart web application that regulates, manages, and restricts the printing activities in smaller organizations, schools, colleges, and other medium-sized organizations. OP is eager to help organizations in complying with the approach to consuming lesser paper & energy. Introduced as SAAS, the cloud version of OP was initiated in an attempt to save the two largest natural resources of the world; trees and energy. OP Cloud is a revolutionary solution to the energy crises and yearns to help the owners save their hard-earned money from wastage on pointless printing jobs. What makes OP different from its competitors is the fact that it is a software subscription which means a company can buy the licensing rights of OP for a month and renew the subscription after expiry. It is less costly than the traditional software that requires single payment and comes with the perpetual validity. OP Cloud offers three different plans and users can pick any one of them according to the requirements of an organization. Once the services have been paid for, the OP Cloud manages and monitors the users’ activity on printing operations. Upon successful integration, the owners can receive detailed charts and reports summarizing the printing activities and statistics for printer, groups, users, and computers. The reports are customizable with features such as periodic notifications, secure HTTPS access, etc. Many people think that ‘greener solutions’ aren’t always beneficial, but that is not the case with OP Cloud as it has a multitude of benefits to offer. It doesn’t require any installation as it has a web-based access with SSL certificate. It facilitates an unlimited number of computers, users, printers, and print servers. It saves the printed document which can be later viewed in an image form. It monitors network printers with SNMP. Through quotas and restrictions, it tracks and manages the printing activity. OP Cloud is a green economic solution to the unnecessary wastage of paper along with the power and monetary resources. Having a classical printer with no monitoring provides the individuals with the opportunity to print out everything they deem important. This not only leads to excessive dissipation of paper but also contributes to power wastage as printing machines consume the more amount of power as compared to other appliances! Through OP Cloud, a company can monitor printing activities of each department and assign specific credit limits. Once the department is close to exceeding its limits, OP Cloud will send them a reminder to cut down their excessive use. Also, OP Cloud contributes in the efforts to improve ROI by providing print management. 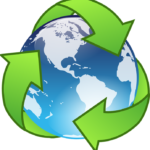 All in all, OP Cloud is an eco-friendly web application that can help you save millions in printing costs!